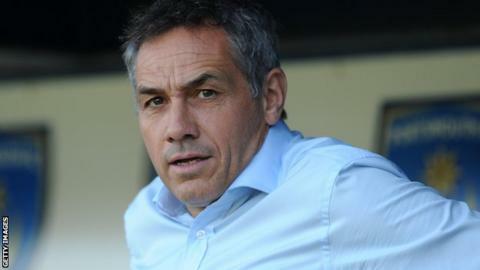 Guy Whittingham has left his job as first-team coach at Crawley Town. The League One club say it was mutually agreed that the 49-year-old former Portsmouth manager's contract, which is due to expire at the end of the season, will not be renewed. "It is always sad when employees leave the football club," chief executive Michael Dunford told the Reds' website. "I would like to thank all three for their efforts on behalf of Crawley Town and to wish them all the best for their future careers." Whittingham joined Crawley in December, a month after being sacked by Pompey and replaced at Fratton Park by Richie Barker, who was dismissed by Crawley two days after Whittingham's departure.